w/ 10" Screen, Multi-Frequency Probes, Cineloop, Internal Image Storage, and more! Newly released! The CTS-3300 is the latest exciting release from SIUI and is replacing the CTS-200, CTS-385+, and CTS-485. What has been improved over the CTS-485? New attractive design, with 10" screen. 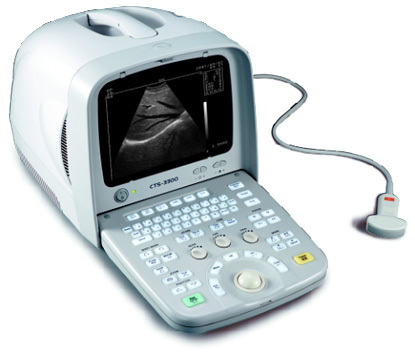 The CTS-3300 serves as an excellent (and affordable) ultrasound for a broad range of general ultrasound applications. The step above the CTS-3300 would be the fully-digital Unix-core CTS-5500. Call today to talk with an ultrasound consultant! Or click here for our short inquiry form. Manufacturer's Warranty: The CTS-3300 ultrasound iscovered for 24 months (does not cover damage due to abuse or accident). The transducers and accessories are covered for 12 months. Extended warranties are available.